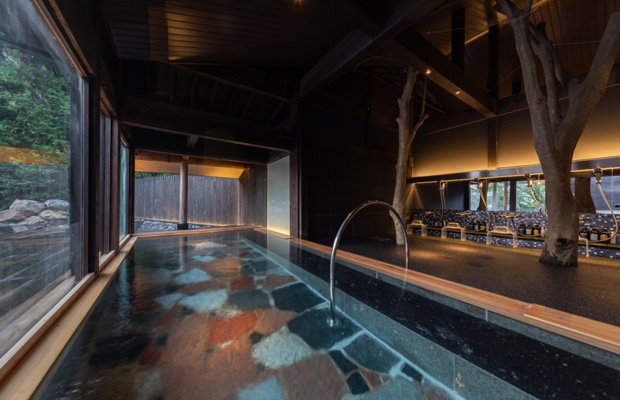 The hotel’s Rakan Bath is located right next to the Five Hundred Disciples, a set of statues created in the Nara period by the celebrated monk Gyoki. So, after you have been in the bath, you have the opportunity to worship or to drink from the blessed waters. Just as the Five Hundred Disciples have been gently watching over Mifuneyama and those who visit it for a space of 1,250 years, the gentle hot spring waters will heal you of the fatigue of your journey. The hotel also has an open-air bath, which has one section for men and one for women. Takeo Hot Springs at one time flourished as Tsukasaki-shuku, a station on the Nagasaki Kaido road. Regarding the origins of the hot spring, the “Hizen Fudoki,” a book written 1,300 years ago, records that “on the west side of the district lies a crag from which there issues a hot spring.” The hot spring is a famous one, rich in history, as it is said to have been used at one time or another by such figures as Empress Jingu, Masamune Date, Musashi Miyamoto, Tadataka Ino, and Philipp Franz von Siebold. Morning: 6:00–10:00 a.m. Afternoon & evening: 3:00–12:00 p.m.
At the large communal bath, you will find shampoo, rinse, body soap, and face towels available. There are also yukatas, bath towels, toothbrushes, razors, etc., in the guest rooms. 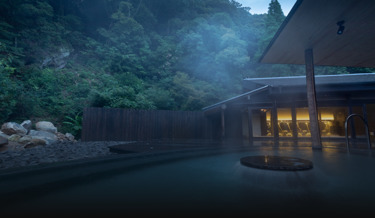 Takeo Hot Springs is known for the transparency and pleasant softness of its waters. The hot spring is rich in history, since the “Hizen Fudoki,” written 1,300 years ago, makes mention of it, writing, “on the west side of the district lies a crag from which there issues a hot spring,” and it is said that even Empress Jingu once bathed here. 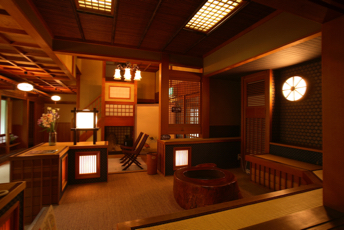 Also, at the time of the Bunroku and Keicho Campaigns, the large numbers of soldiers who were assembled at Nagoya Castle would visit Takeo Hot Springs, and there is preserved to this day a red-sealed document, entitled “Rules for Bathing,” that Hideyoshi Toyotomi issued to keep the soldiers from disturbing the other bathers. During the Edo period, Takeo Hot Springs flourished as a station on the Nagasaki Kaido road, and such famous historical personages as Musashi Miyamoto, Philipp Franz von Siebold, Masamune Date, and Tadataka Ino are recorded to have bathed here. 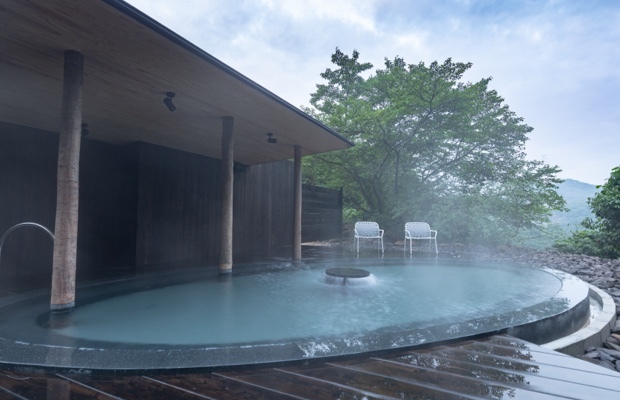 Takeo Hot Springs is a simple thermal hot spring, mildly alkaline, that contains a variety of mineral elements in just the right proportions. The waters have excellent heat retention, and are famous for making skin beautiful. After you have bathed, feel free to use the relaxation area to rehydrate yourself or if you are waiting for someone.